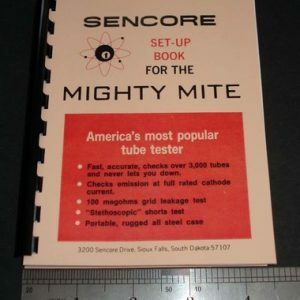 For sale is reprint of Sencore Tube Test setup book for testers TC162 Mighty Mite VII and TC28 Hybrider. 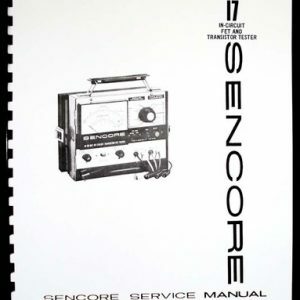 Manual is 149 pages long. 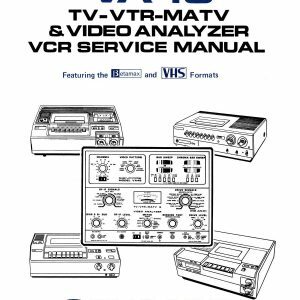 Original chart was a tiny 3.5×7.5″ booklet, 2 pages were scanned at a time side by side and enlarged to 8.5×11″ making it 75 pages long. 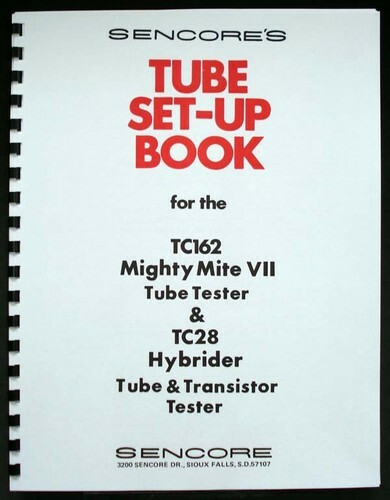 Must if you own one of these great tube testers and setup book is missing or out of date. 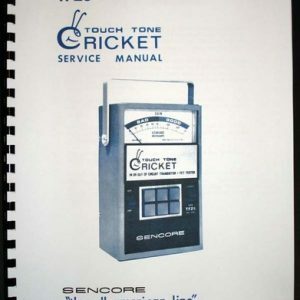 When I purchased this Tube setup book it came in original mailing envelope from Sencore with date of 1983, making this setup book the latest revision available. This entry was posted on July 30, 2013 by artur.